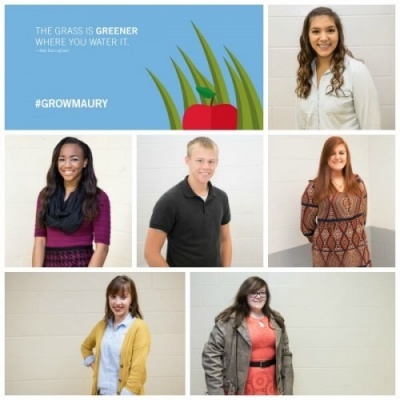 Our campaign, “The Grass is Greener Where you Water It,” provides Maury County Public Schools the opportunity to showcase the talented, young students in our midst. Over the next few weeks, we’ll showcase a few of the bright, curious and courageous students in our schools who are well on their way to becoming tomorrow’s leaders. Alexis, Jadai, Nick, Georgia, Bailey and Cheyenne are looking forward to making an impact in the world, and we’re looking forward to sharing their profiles with you. Please join us in making the grass greener right here at home by celebrating their accomplishments on social media. Check back here every few days for a new student spotlight, and show your pride in MCPS by letting your friends and family know about these dynamic, well-rounded students. If we are united as a community, we can make a difference in all of our students’ futures by showing that we take an interest in their lives and celebrate their achievements. 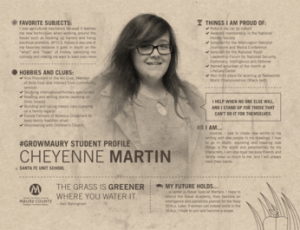 Click the image above to read all about Cheyenne. 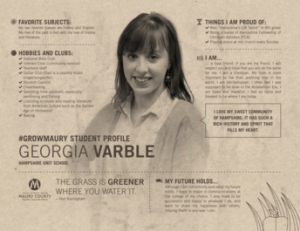 Click the image above to read all about Georgia. 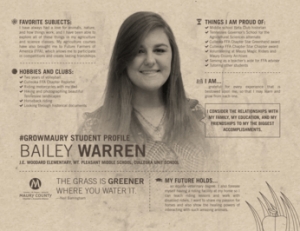 Click the image above to read all about Bailey. 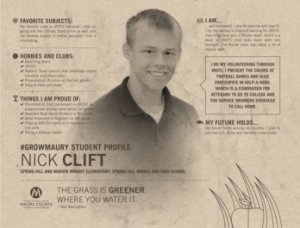 Click the image above to read all about Nick. 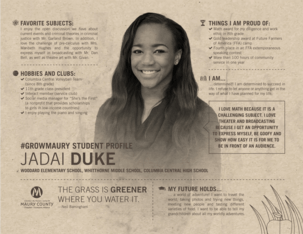 Click the image above to read all about Jadai. 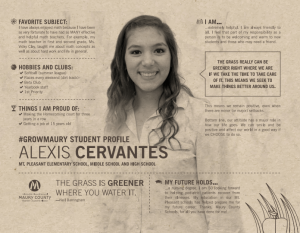 Click the image above to read all about Alexis.